If you are a marketer on Instagram and targeting the Design niche, you’ve got your work cut out for you. There are over 142,056,405 posts tagged #design on Instagram. That’s because design is a pretty board term. That’s why we’ve put together this list of the best Design hashtags for Instagram & Twitter. Once they are combined with other types of hashtags (as outlined below), they will help you to get more organic reach from a targeted audience that converts. Copy and save them so you can paste them into your Instagram posts. Then, read below to learn how to combine these Design hashtags on Instagram to maximize your marketing efforts. Because Instagram is a user-generated content social network, it is ripe to help you convert your audience into free marketers for your brand or business. Start by creating a branded hashtag. It should be short, simple, and as close to your brand’s name as possible. Then, include it in your profile write-up with a call-to-action to train your customers and audience to use the tag. 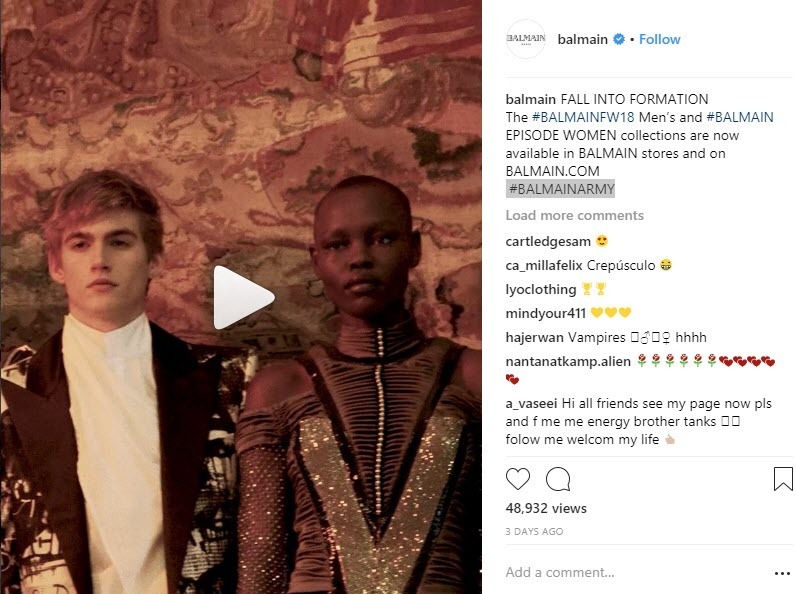 Burgeoning designer Balmain understands the power of branding. Their posts always include their branded hashtag and a few variations on it. Gorgeous clothes, gorgeous design, gorgeous Instagram marketing. If you want conversions, then using only using design hashtags won’t get you where you need. It’s simply too broad of a topic. This means you need to combine design hashtags with hashtags for your industry so that you increase your chances of being discovered by those who are looking particularly for what you have to offer. AXD Magazine understands this perfectly. 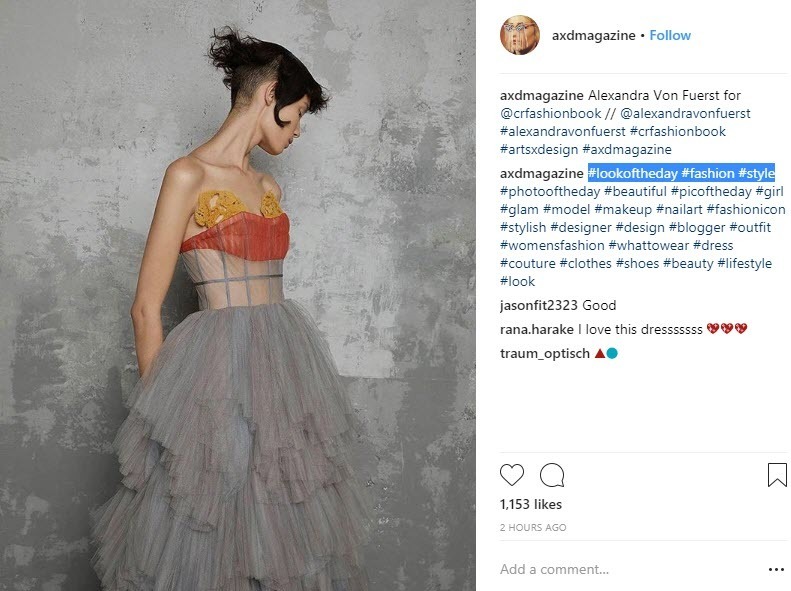 Note how they combine design hashtags with fashion hashtags. Great way to increase a targeted audience size. This is a MUST if you are a local brand, service, or business. Make sure to include hashtags for your neighborhood, city, state or country so you have a chance to reach both tourists and locals looking for your business or services. 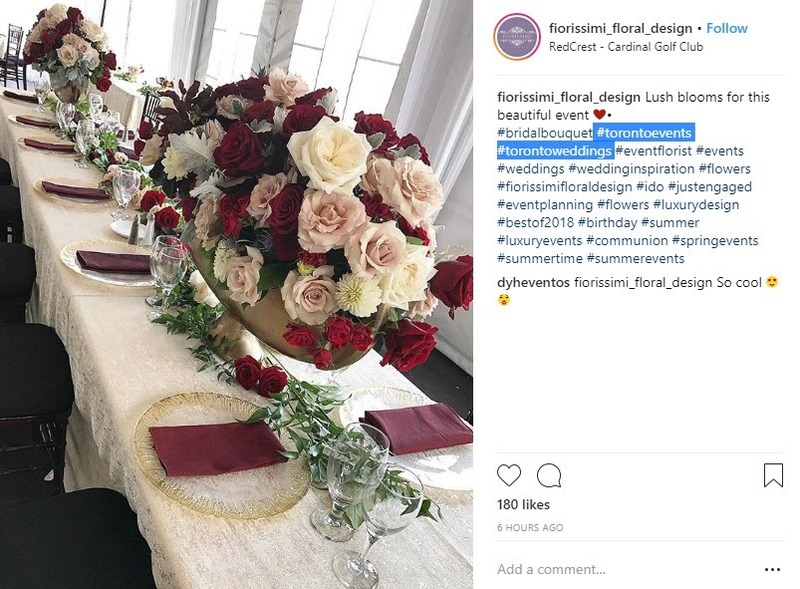 Fiorissimi Floral Designs understands that for their business, reaching a local audience is of the utmost importance. Note their use of Toronto hashtags. These will give them a bigger chance of being discovered by locals. It’s fantastic location marketing. This works particularly well when you use hashtags for related brands. For example look for some of our related brand hashtags. The idea is to increase views from a vetted audience that is already interested in brands associated with your business. It’s an easy way to use Instagram hashtags to reach a targeted audience that converts. 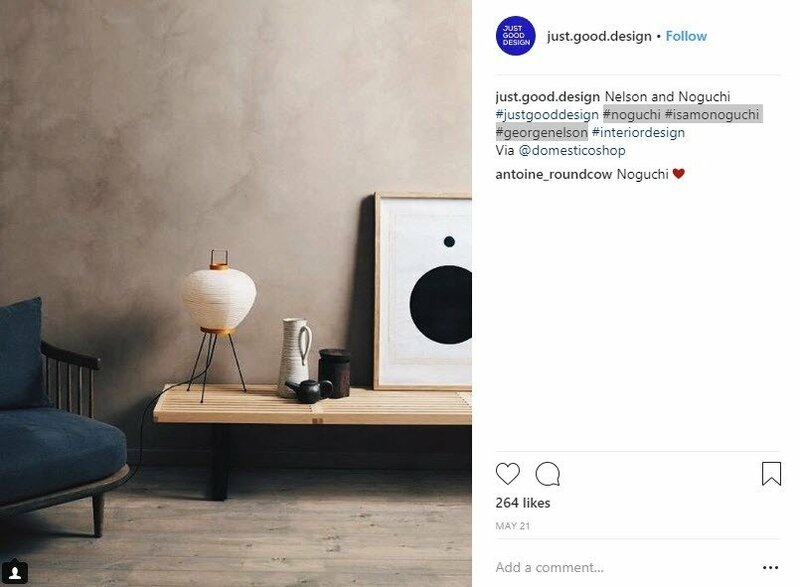 Just Good Design understands this and includes hashtags for related design brands like #Noguchi to reach an already vetted audience. This is a great way to target a particular audience. Now that you have all those great design hashtags to use on your account, and you know how to use them to get the most reach and engagement, you need a great Instagram management tool. Socialdraft is an all-in-one Social Media Dashboard that helps you manage Instagram. It is the most robust and simple tool for agencies and teams to effectively handle social media.